Nowadays, one of the most trending interior designs in the world is the Scandinavian style. This style aims to achieve the highest functionality while keeping elegance and beauty. 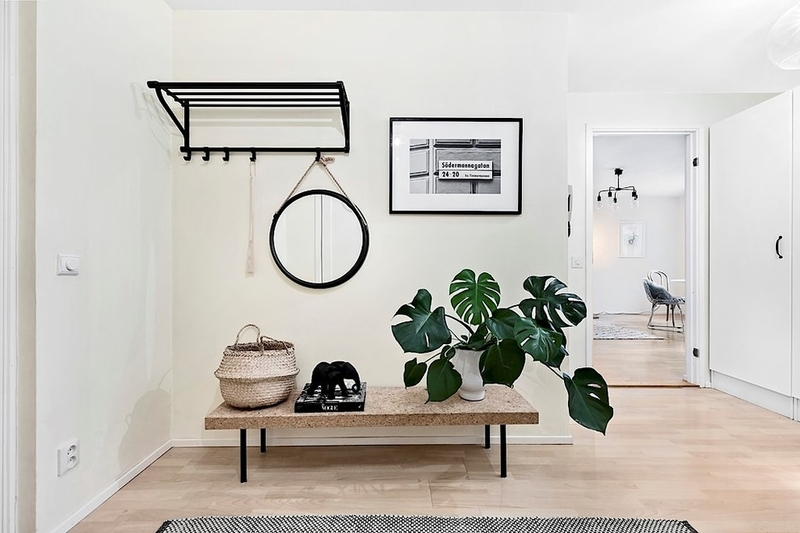 A Scandinavian design style is an ideal option for the people who are in love with clean and simple lines accompanied light and neutral colours. The core points. Entire home including the hallway should be in harmony if you decide to design your accommodation in this style. Since hall is the place to pass through everytime someone enters and leaves your home, it needs to be functional and practical. It has storage features as well. All these emphases on practicality do not mean you will have to reject the style with a Scandinavian look. 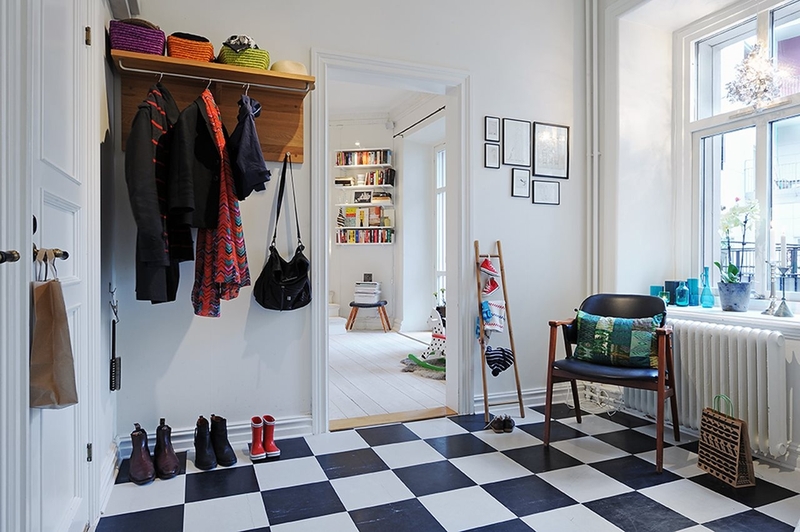 We prepared tips to inspire you and act to create a Scandinavian style hallway. It is not recommended to use large carpets that lie wall-to-wall. Scandinavian elements should be felt at flooring as well. Therefore, hard flooring will be more suitable for the hallway. Try to achieve a natural wood look as much as possible. This style will require you to avoid colourful paints and elements. Instead, you should go for white, light cream and beige tones. Grey and blue colours will be the best options if you want to have a colour in your hallway. This interior design can be achieved with clean lines lacking sharp corners and angles. 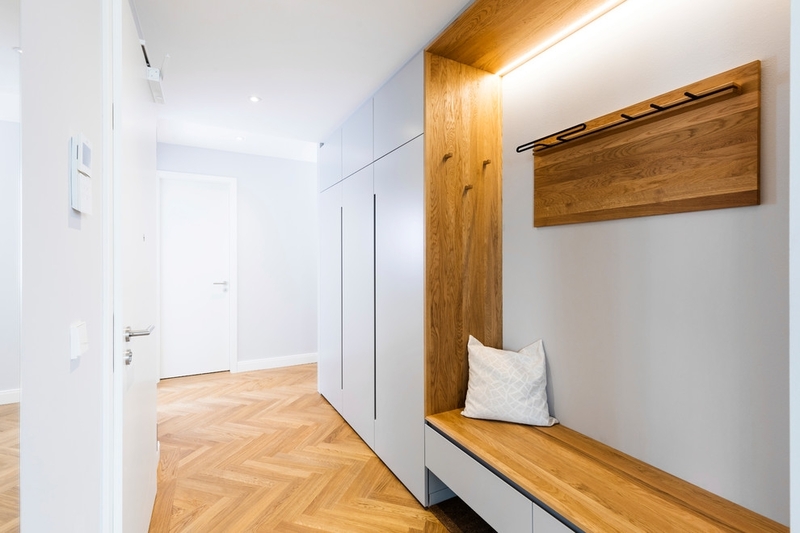 As a result, your modern hallway furniture should match to these requirements. Pick a clean-lined scandi shoe storage. The Scandinavian design must include natural elements, where wood comes in prior place. Try to keep wood as essentially as you can. Scandinavian hallway furniture from oak and reclaimed lumber will ideally create a Scandinavian atmosphere. Although, it might sound hard to achieve, try to choose accessories that will not only fill the spaces with their decorative beauty but also carry a function. From such additions, you can select a chair that will provide with sitting area to pull on or take off the shoes. Scandinavians styled simple chairs from oak will be functional support the ambience in the hallway. Most certainly, you would like to decorate the hall. A mirror is one of the most significant elements. Instead of standard mirrors, pick a wood framed mirror that can be hanged on the wall. It will be practical, elegant, and suitable for a Scandinavian interior. If the furniture does not include hooks, mount some coloured wooden ones to the wall to add a little diversity to the entrance. The same idea will look pretty with family photos as well. Frame your special moments and enliven the positive atmosphere. Scandinavian countries meet darkness quickly and early during the winter months. As a result, the interior design originated from this part of the world takes advantage of light the best. You will need to minimise window treatments and let the natural light in as much as possible. Keep the light bright, but not utter.